We are now in one of those times. 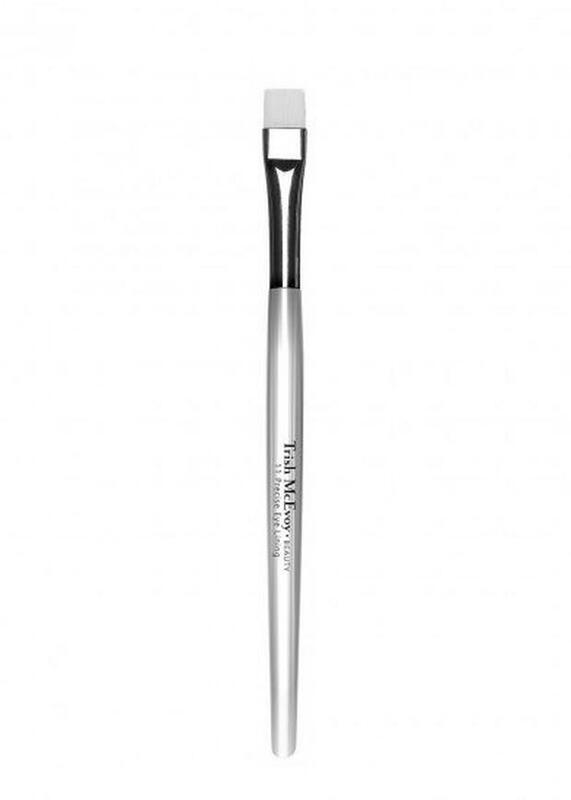 Enter the 11 Precise Eye Lining Brush by Trish McEvoy, a game-changing eyeliner brush that dates back to the '80s and has been one of the most popular items in the beauty range for 30 years. The flat angle means it glides on, which makes liquid eyeliner a dream instead of a shaky, uneven nightmare (I used the Catrice Liquid Gel Cushion Eye Liner for €4.59). "I asked all my makeup artist friends what they were looking for, I knew what I was looking for...I wanted to make the process a wonderful experience," Trish told Independent.ie. "I want something that could be used wet or dry, something easy to apply liner or lip colour. A go-to brush that women would need. It's been extremely popular, the reason being that it's so easy to use and it does all the work for you." "It was born out of need. From the '80s to today, it's still among the best-selling products from the brush range." The best news? It's only €25. Having just discovered this makeup marvel, I wanted to shout it from the rooftops - and encourage you to get it while you can.